I've contacted my rep and googled the heck out of this to no avail. If someone could get me some dimensions on this stand and what height it might be at minimum vs maximum height, that'd be awesome. Thanks in advance! Depth: 196 mm (7.72") So you add 4 inches for the Computer. Thanks. I'm not sure that will work for the OS117 also. 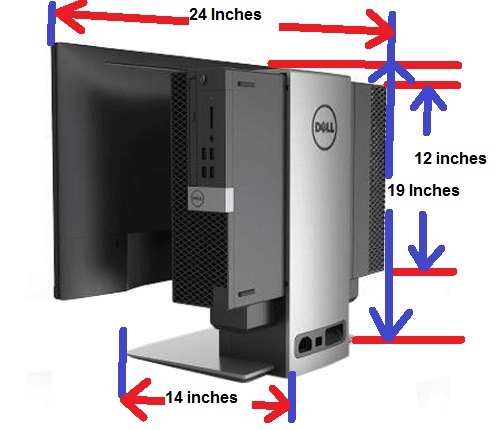 I cannot find any document that details the height from the desktop surface to the bottom and top reach of the monitor bracket. None of the labs here have this stand. 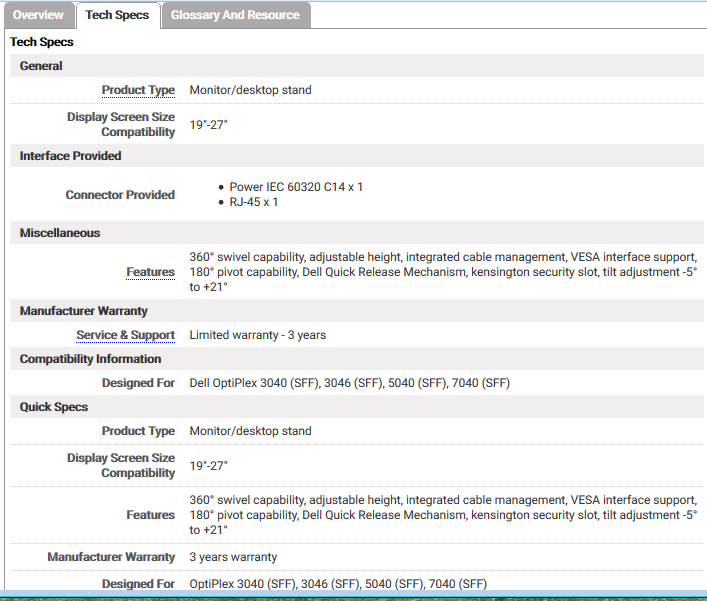 All that is listed on its page is the setup guide. Perhaps you can see one on display at a local store and have them measure it. OSS17 and 452-BCMX are one and the same part. 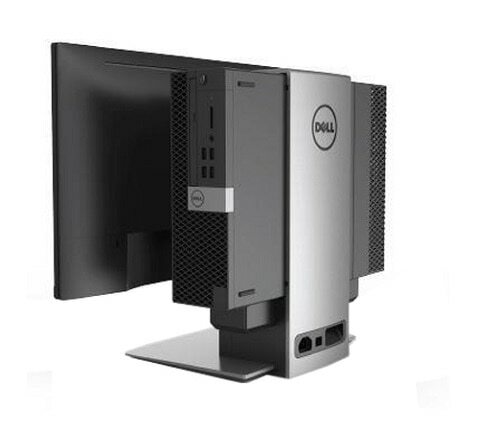 There is no exact dimension Because it depends on What size monitor and the monitor goes up and down as well as tilts forward and back. All dimensions are approximate + or - 1 inch. So, I went out and measured one yesterday. At it's lowest and you are right, it depends on the monitor size, but the top of the monitor when lowered was flush with the unit. At it's lowest was at 15and 1/4 inches.